Jordi V. Pou has been invited to post as a guest photographer in PhotoEspaña Sand Disk Blog. 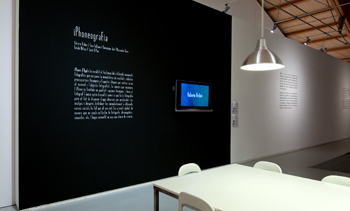 PhotoEspaña is the major photography festival held in Spain. Jordi will be posting for two weks part of his kokovoko.info project pictures. Exhibition includes work from six photographers using the iPhone as a camera, among them Jordi V. Pou. Jordi is also the curator of this exhibition, the first worldwide of iphoneography in an Art Museum. The exhibition invited six photographers to add daily images to a flickr group, the real exhibition was there, and the art center just showed this to visitors explaining what iphoneography is about. Event joining music, poetry and images. Included in the “Veus Singulars” shows at Antares Pub in Lleida on June 2nd 2010. Songs by Rafa Xambó, poetry by Txema Martinez and images by Jordi V. Pou.